Our goal is to provide superior training and sailing experiences for couples, families and solo sailors. We understand that we must ensure safety, learning and fun as the core of our operations to promote improvement of sailing skills and the desire to excel. In St. Petersburg, Florida we offer year-round courses and charter. We standardized on Hunter 23.5 and 295 sailboats to provide stable, easy-to-sail platforms without sacrificing comfort or speed. 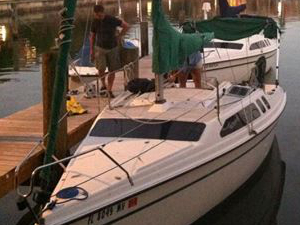 We also typically include other items not found in this class of sailboats to provide additional comfort and safety. Gary Wall is SmarterSail's owner/chief instructor and was recognized as one of ASA's Outstanding Instructors for 2014. Gary was previously a professional pilot and flight instructor. 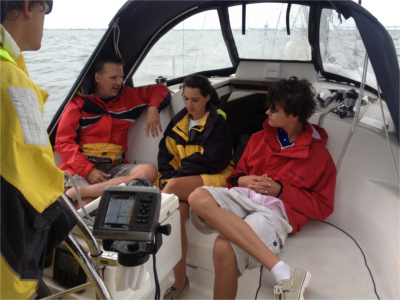 He brings many of the teaching methods that work in that demanding environment to sailing. 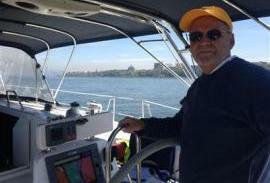 He teaches ASA courses from Basic Keelboat Sailing to Advanced Coastal Cruising (ASA 101-106). He has sailed extensively in the Caribbean, coastal Atlantic and Gulf as well as captained sailboat deliveries ranging from the Caribbean, New York Harbor to the limits of the Atlantic and Gulf Intracoastal Waterways. He always states that, "if you need one, you have to have two". We are based at the Magnuson Hotel and Marina Cove at the South tip of Pinellas County. This location provides a protected area during the winter and easy access to Tampa Bay, the Gulf of Mexico and Boca Ciega Bay. The Magnuson offers our sailors a resort setting while off the sailboats.